Introducing: The Future QA (Part 5) | Quality House Ltd. So far we talked about different trends in the Software Testing field that are already affecting it and calling for changes. Now we will be turning to what those changes would mean for the QA profession. To support smart testing and analytics, data has to be gathered from different sources and phases in software development, such as requirements management systems, and test environments. An emerging trend is the creation of tools offering features to integrate various ALM (Application Lifecycle Management) toolsets and test environments. 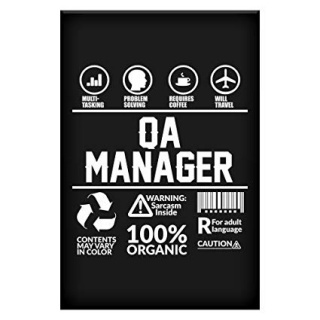 The role of the QA will also change. At first, the roles will get blurrier, then clearer. The rise of agile methodologies has led to a lot of confusion and misconceptions regarding the role of the software tester. In the near future, the situation is going to become even more complicated as agile is quickly becoming the standard, rather than an advanced methodology. The specialization process will also continue. Remember, at first we were all just testers. 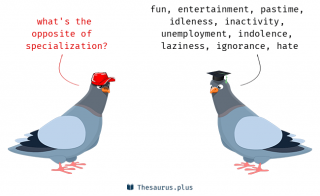 Now, there is specialization and it will continue to narrow. The main fields of specialization as of today are automation, security and performance. The rise of big data won’t stop any time soon as well. 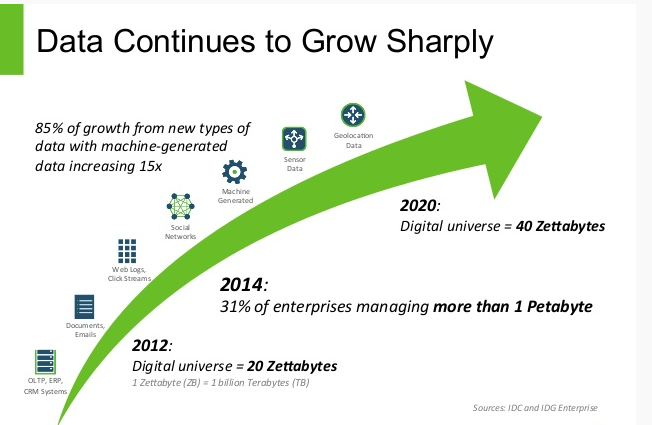 It is expected that in 2020 the digital universe will be equal to 40 zetta bytes. That is a growth of 400%. Given the cost of data storage going lower by the day, Big Data will eventually be a day to day affair for every IT company. Today, we are mostly concerned about testing data storage, management and maintenance of Big Data with little worry about testing the inferences drawn. That will change in the future. Security is also on the rise. With the rapid development of AI and big dataBig Data, there is concern regarding security breaches, so security testing is on the rise. Today, websites have access to social network credentials and confidential information like home address, credit card data, personal messages, etc. The more information that is collected, the more difficult it is to protect it. The statistics show it – the general income for cybercrimes has exceeded 600 billion US dollars worldwide in 2017. 200 + malware threats are being captured every single day. In 2021, cyber-attacks will cost the business companies more than 3 trillion US dollars. Nobody is protected – nearly 43% of the attacks target small and medium business. The testers of the future should know the business objective of the client and understand them as well as apply the right metrics needed for the monitoring of the set goals’ success, as this is going to be crucial in the near future. Then testers should understand the user’s behavior and be able to simulate it. Testers should be good at prototyping because working on prototypes requires testers to make assumptions, work in a team without requirements and take risks. However, if we can deliver a working prototype to a customer, this can be more valuable than any plan, strategy or documentation approach. The metrics and analytics should also be used accurately, as they measure the effectiveness of an initiative or project. Finally, the time has come when we can talk about SDET. 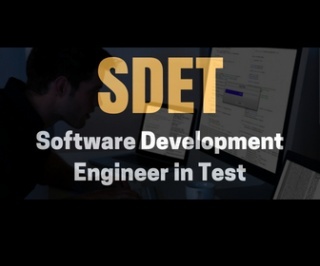 A SDET is a Software Development Engineer in Test. That is a role proposed by Microsoft as they predict that the roles of the tester and the developer will merge in a way and the SDET depicts parts of both roles. Still, test automation will provide the bulk of coverage, while manual testing will cover the more complex scenarios that involve a lot of human judgement and decision making. After all, these specialists are focused primarily on testing and developing and they will have a great deal in contributing to the Software Development Life Cycle (SDLC). In laymen terms, a SDET is a developer who, instead of working in the product development team, works as part of the test team. SDETs are responsible not only for code writing but are required to test the code as well. They are also required to continuously write, test, and fix the code they provide. These are usually professionals with very strong analytical, technical and problem – solving skills. 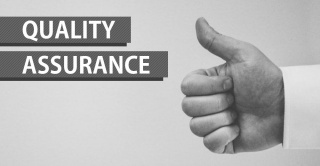 SDETs also help improve the code quality by performing strict and detailed source code reviews along with checks of the testability of the code. They have knowledge in multiple tools, techniques, best practices and processes and thus, they become a very crucial part of the modern SDLC. In essence, SDETs are Customer Advocates who influence product design by understanding end user expectations. While functional and automation testers will always be required, SDETs may prove to be the all – rounder that most organizations are looking for. It will be quite difficult to find or even train such a professional who will always be up to date with the new trends in technological terms. Also, great news for the ones that are sticking to a career in the software testing is that the future of testers actually belongs to the QA Managers. According to the Glassdoor rank – 50 best jobs in America in 2017, the position of the QA Manager takes the 22nd place. And yet, it is important for every software tester to understand that in the future the real value of their work will not be focused on the bugs they find, rather than on their findings of the inadequacies in the methods of those who design and produce the code. Having this in mind, continuous learning is of absolute importance to stay relevant for the future. The founder of Appdiff, Jason Arbon predicts that writing software is a field Machine Learning will conquer before it will conquer testing. Chill out. Changes are happening and will continue to happen, but if we stay open to new knowledge and growth, the role of the tester will never become redundant.